The 'cabinet' on the right contains the clock mechanism. Once powered by weights and a pendulum, it is now electrically powered. 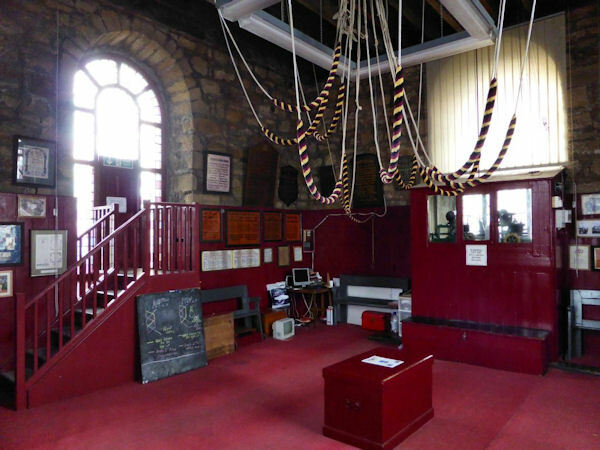 The bell-ropes are looped up for safety when not in use.